Enter the email address associated with your account. We will send you an email with a link to reset your password. Are you wondering about the fit? 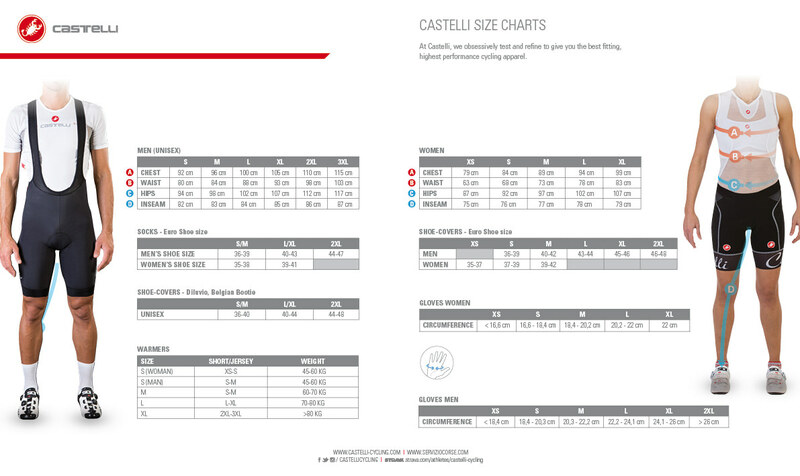 Download here the size guide. Designed by Castelli to tests the P ZERO™ Velo tyres, and just as the P ZERO™ Velo Monza jersey, it is easily recognizable by the Pirelli institutional logo and it is available exclusively on our website. The P ZERO™ Velo Monza bib short has the same characteristics of the Free model, created to be fast by concentrating on helping you to get the most of your body and by optimizing aerodynamics. As such it has been developed to provide full comfort even for long rides and for whatever cycling challenge you have. What are you interested on?